Once again students of MBS got together to organize a charity event. 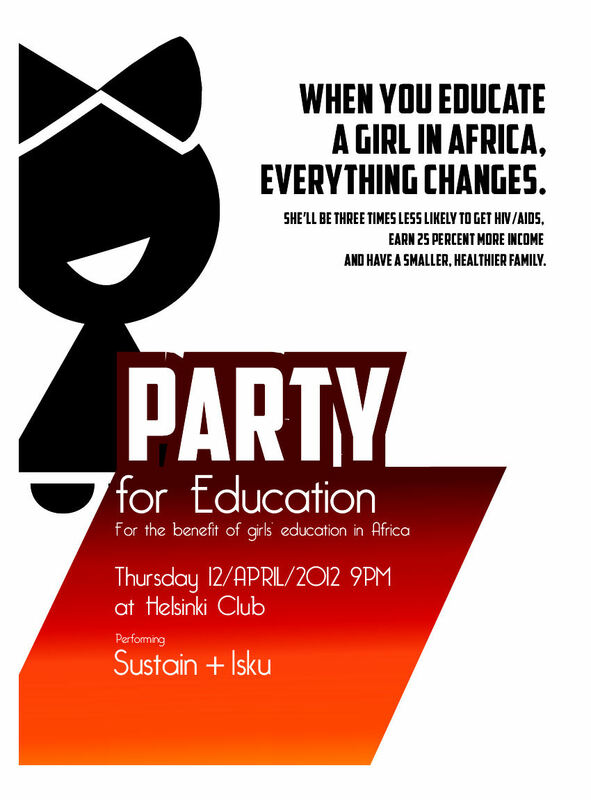 This time you are invited to party for the education of girls in Africa. The reason for the charity is the simple evidence that “Education can change everything“. – Earn up to 25 percent more and reinvest 90 percent in her family. – Be three times less likely to become HIV-positive. – Have fewer, healthier children who are 40 percent more likely to live past the age of five. 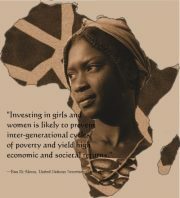 Since 1993, Camfed has fought poverty and AIDS by educating girls and empowering young women. More than 1,451,600 children in impoverished areas of Zimbabwe, Zambia, Tanzania, Ghana and Malawi have benefited from our innovative education programs. The organizers want to contribute to empower women in Africa as they believe what United Nations Development Administrator, Helen Clark, said: “Development cannot be achieved if fifty per cent of the population is excluded from the opportunities it brings”. In this sense we think that the work that Camfed is doing is essential to end poverty. With regards to this, everyone can be lucky for being granted access to education. In this sense Party for Charity wants to increase the awareness that the student community has towards this issue. For further information, check out the event. Previous Post Congratulation to the Winners! On behalf of Party for Education organizers, I would like to thank everyone who contributed to our cause and made this event come true. We are happy to inform you all that we have been able to rise 780€ and this money will go straight to support the education of 43 girls in Africa. We also want to give an especial mention to all our collaborators: Metka, ESN-Metka, Metropolia’s Business Club, Marko Korkeakoski, Huyen Nguyen, Sustain, all the people that volunteered for the auction and Helsinki Club. Without their support this event would not had taken place.